The above link is kinda fun. Sorry if It offends anyone at Burger King or anyone else. Good Link! However, I find the references to eating llamas repugnant. Below you can see the llama curtain I built. I bought the plastic strips in a roll and fashioned this loading dock door for the llamas. Aries did a llama dance in the pen after he figured out the curtain was passable and kept the family warm. I am installing a very small radient propane heater in the llama house. It will be just enough, I hope, to keep their water liquid. 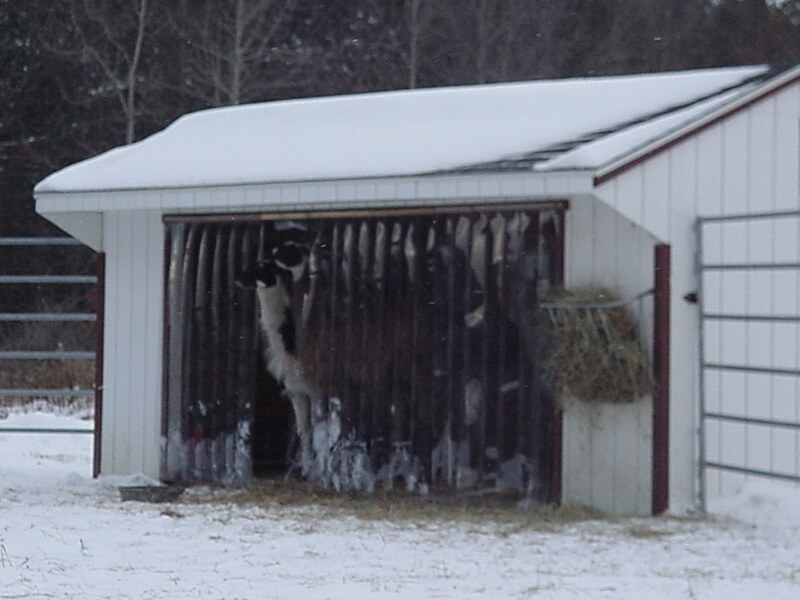 I figure that is the cheapest way of de-icing and helping my llama buddies out on these cold nights.